Our sharing steak night takes place every Friday night and because of its high-demand, we request that you book in advance. 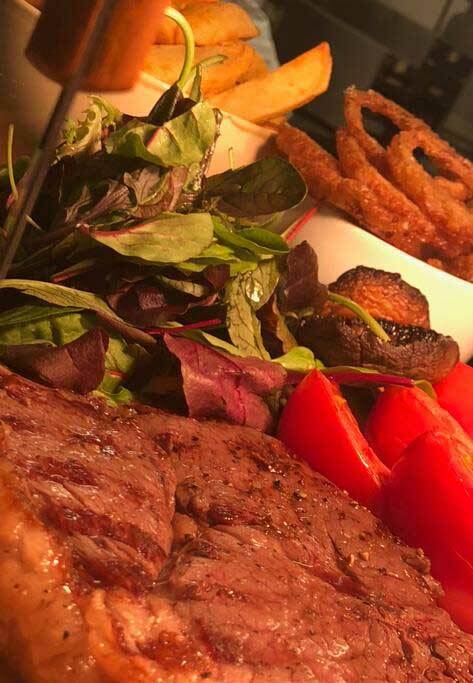 To us at The Lion, a steak is more than just a steak; we believe that a good steak is all about the way in which it is prepared and how it is prepared and cooked on the night. We are known for our traditional honest pub food but we also know how to cook a steak to your liking. Matt and the team cook steaks to perfection so why not come down and experience a great night out in a local pub. The Lion steak night is not just your average steak night because we believe that it consists of a number of factors that come together to make it a night to remember. Whether you want a superb meal with family or you want to share this special moment with that special someone, the Lion in Waddesdon makes a perfect night out! What Makes our Steak Night so Great? There has never been a night like it in Waddesdon or any of the surrounding areas. If you are wondering whether there is a pub steakhouse near me, then yes there is and if you are reading this, we guarantee that you have found it. 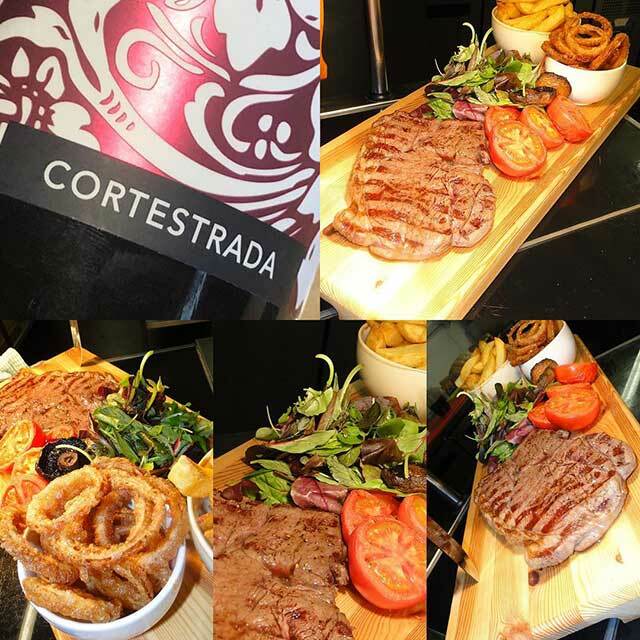 FOR THE INCREDIBLE PRICE OF £50 FOR TWO PEOPLE, YOU WILL GET A 20 OZ STEAK COOKED TO YOUR LIKING SERVED WITH HOME COOKED CHIPS, MUSHROOMS, ONION RINGS AND SALAD ACCOMPANIED WITH A FINEST BOTTLE OF CORTESTRADA SANGIOVESE. A lot of love, care and attention go into our steak. However, you like your steak cooked, our sharing steak night will give you a dining experience that will leave you returning for more. If you are going to immerse yourself into the succulent flavours and tenderness of your steak, you have to enjoy it somewhere where there is an atmosphere and at The Lion, our steak restaurant has the right atmosphere. It has an ambience that puts you at ease and our staff ensure that you receive a friendly professional table service. 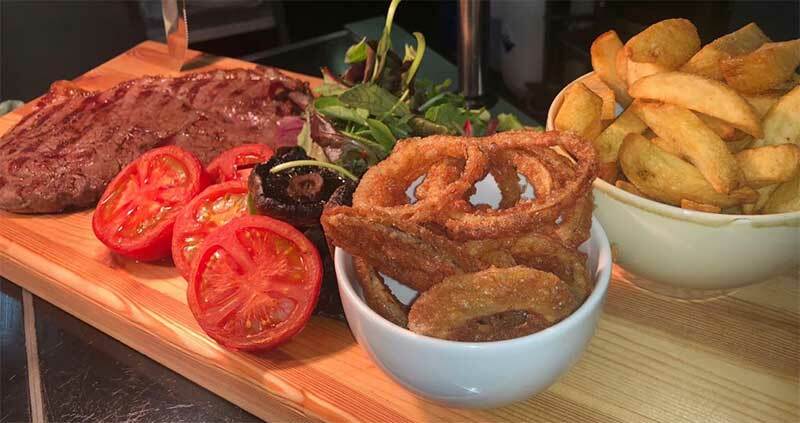 Come along to The Lion and experience a steak night like no other and watch as we follow through on our promise of the ultimate sharing steak night because we know that great food and honest prices is something that everyone deserves. To find us and for full contact details, please click here.